There are Many Dogs in the City is about the stray dogs in Yerevan. It depicts also two women. For one of the women these dogs are an important part of her life and the other woman is just annoyed at them. Born 1983, Yerevan, Armenia. In 2005 he graduated from the Yerevan State Institute of Theatre and Cinema (Film Directing Department). Since 2011 he has been studying at the Muthesius Academy of Fine Arts and Design in Kiel (Germany). 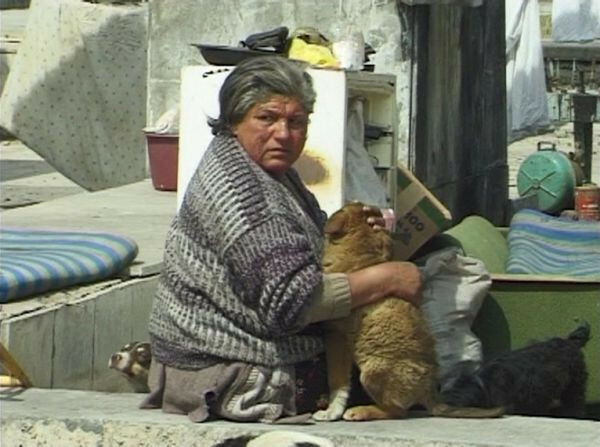 The Loneliness (2004), Lejan – Hey Jan (2005), A Little Fairytale (2006), There Are Many Dogs in the City (2012).